Q. Is Ramsey Library open to the public? 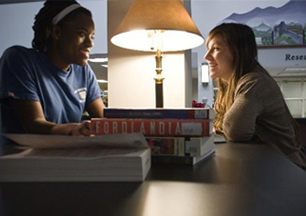 May I use the library if I am not a UNCA student? What are the library's hours? Ramsey Library is open to everyone. 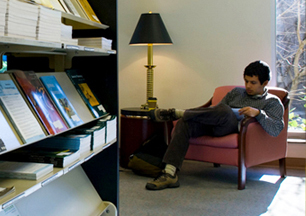 Members of the public are welcome to use the library collections in-house. 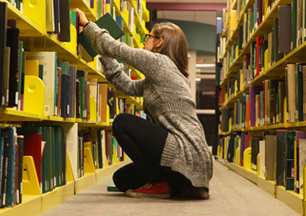 Those interested in having borrowing privileges from Ramsey Library, but who are not affiliated with the University, may still borrow print materials by obtaining a Guest Borrower's Card. To join as a Guest Borrower, go to the Circulation Services Desk and fill out a membership form. 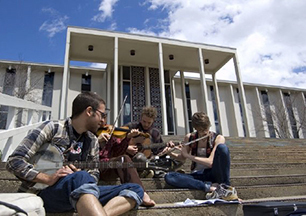 Membership requires an annual fee, but if you are a UNCA graduate you are entitled to borrowing privileges for free. More details here. If you are interesting in using our computers to access our e-resource content or would like to print in Ramsey Library, please find further details here. You can also find our hours on our web site here.